Ablaze: Hereford & Worcester Fire and Rescue Service attended a fire at Other Road in Redditch where two cannabis farms were discovered. A HOUSE fire which spread to a neighbouring property revealed an unexpected surprise – two cannabis farms inside. The drugs were discovered when firefighters attended a blaze in Other Road near Redditch Police Station. The alarm was raised at 5.30pm last Saturday, January 26 and six fire engines attended the emergency, three from Redditch, two from Bromsgrove and one from Billesley. Fire crews wearing breathing apparatus and armed with hose reel jets discovered one cannabis farm with the crop completely destroyed by the fire. However the blaze had spread to neighbouring homes and it was inside one of those that Police discovered the second, intact, cannabis farm. Cannabis cultivators frequently use heat lamps and lighting to help the plants grow. Officers are now trying to identify the occupants of 117 and 119 Other Road and are appealing for witnesses or anyone with any information to contact them on 101. Detective Constable Claire Masters, said: “Thankfully these drugs never made it onto the streets and the remaining plants have now been destroyed. 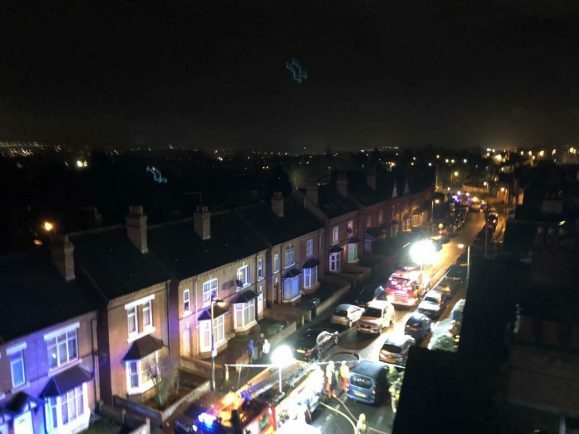 Group Commander Rob Allen from Hereford & Worcester Fire and Rescue said: “The fire started in one property and spread to the adjoining properties. “No-one was in the property at the time. This latest incident follows one in Dunlop Road, Hunt End where on January 18 Police uncovered a cannabis farm with a crop valued at £1.4million. Hundreds of plants were found along with UV heating equipment. Sergeant David King, of West Mercia Police, said: “This was part of the county lines targeting initiative to tackle organised crime from outside the area.